At OmegaBrite, our purpose is to offer benefits for your health. 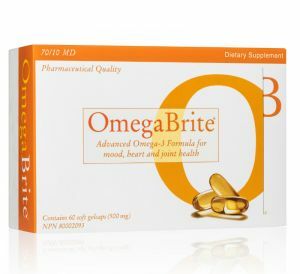 That doesn’t end with delivering the highest quality omega-3 supplement on the market that’s high in purity and potency. We believe that building a better community and planet should be the mission of every conscientious company, especially those who work with nature. If you’re familiar with our products, you may already know that we use only small fish and that they are harvested from the clean waters of Peru and Chile. 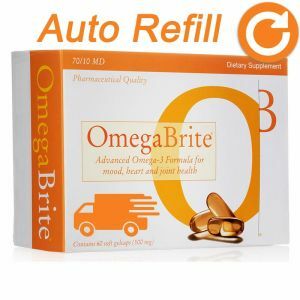 This environment is ideal to facilitate the highest quality and most pure omega-3, which is the exact ingredient that fosters such great health benefits for our customers. There is a secondary reason for our decision making process in choosing our harvesting locations, though—sustainability. Did you know that two thirds of the world’s seafood is overfished? For the consumer, the phrase “the waters are overfished” often doesn’t register with as much gravity as it should. They hear about it and worry that overfishing makes it more difficult to buy their favorite type of seafood. It’s unfortunate that so many people are unaware that rising prices and the lack of availability often means that there’s an environmental crisis in the sea. For OmegaBrite, the decision to use only small fish was not only for the purity of the Omega-3, it was also because the smallest fish are the lowest on the food chain, allowing us to harvest the fish used in our products in accordance with the highest standards in sustainability. Our products are certified by Friend of the Sea, an NGO that offers international certification for products that are produced with the highest commitment to the conservation of marine life. Conservation and environmental integrity isn’t just a popular fad. It shouldn’t be a way for companies to promote their products or for people to stay on trend. There needs to be a deep commitment to the betterment of the planet for future generations to flourish and thrive. Our mission doesn’t just end with responsible fishing and high potency natural products. OmegaBrite believes that building a better world starts with bringing the next generation into the future with the tools they need to make a positive impact on tomorrow. We are especially proud of our work with young girls and women to help science-minded females find the mentors and support they need so that the world can benefit from their ingenuity in generations to come. • Dr. Locke serves on the Harvard Kennedy School’s Women’s Leadership Board and OmegaBrite has funded their Women’s Leadership Program for more than 12 years. This prestigious organization works to close gender gaps, inform public policy, and most importantly, train and mentor future leaders. • OmegaBrite Scholars have gone on to full scholarships at MIT, Villanova, and University of San Diego, as well as continuing on in the Chess World to Masters level. We’re also thrilled to announce that one OmegaBrite Scholar was awarded a Rhodes Fellowship. • OmegaBrite has sponsored community sports, Science Club for Girls, including sponsoring one class throughout their journey from Kindergarten through high school graduation. There are a lot of things that motivate the human spirit. Certainly most companies prioritize profits, though, to be fair, that is partially because they have a responsibility to their employees and stockholders. At OmegaBrite, we understand the business side of the equation, but we prioritize our footprint on the planet. We believe that you accomplish great things when your purpose is higher than your own needs. Every person and entity has the responsibility to make sure that they do no harm to the environment and others. They also have the obligation to support positive impacts to their community. Doing good matters because it’s our job as a society to build a better future for everyone.